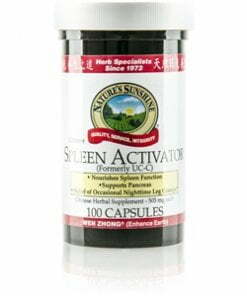 Nature’s Sunshine draws on traditional Chinese medicine in Spleen Activator, Chinese, a formula that may act as a digestive system tonic and boosts energy levels. Called wen zhong in Chinese, or “warm the center,” Spleen Activator supports a weak earth element, according to Chinese philosophy. It encourages proper spleen function and provides nourishment to the pancreas. It may alleviate occasional night leg cramps. 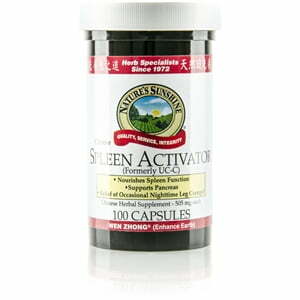 Spleen Activator includes ginseng, licorice, and atractylodes.